About a year ago, I suggested that a Franciscan pontificate of five years or more would produce a new wave of seminarians that are best understood as wannabe Peace Corp volunteers, community organizers and social workers. While it’s too soon to say “I told you so,” there are any number of reasons to believe that this particular prediction remains well on track. 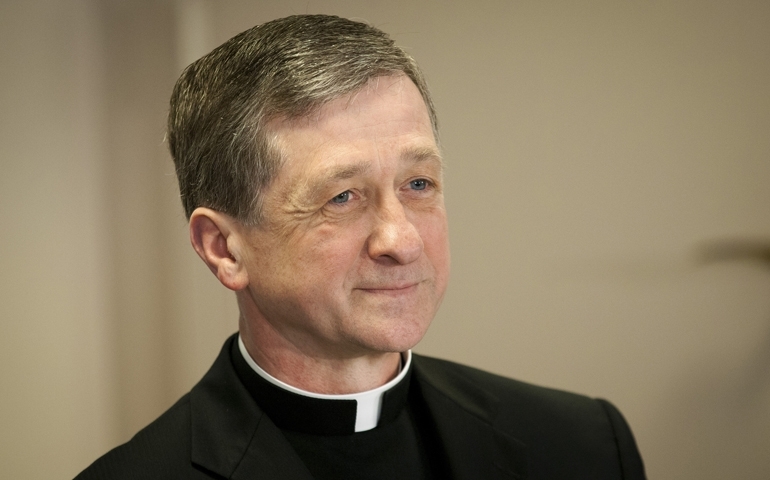 On January 22nd, Commonweal Magazine published an interview of Archbishop Blasé Cupich, the man sometimes called, “the American Bergoglio;” a title that Cupich appears to consider reasonably accurate. People ask me whether I like what the pope is saying. I say, ‘Yeah, but I’ve been saying this for forty years as a priest.’ I’m moving along on the crest of the wave that he has created. That’s to my advantage, because there is a new enthusiasm, an awareness of what it means to be church … the Holy Father is opening us to look at how the church can be of service to the world. Cupich, just like his Roman counterpart, speaks as if the Catholic Church just recently figured out how to serve mankind, and for the record, it has nothing whatsoever to do with the mission that Jesus gave to His Church. 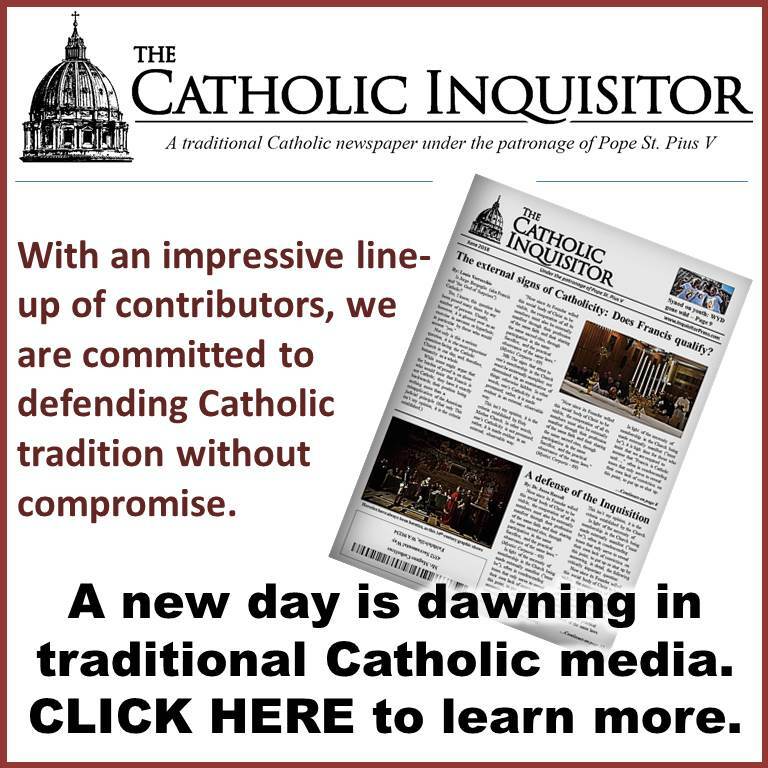 Understand that when Cupich speaks of this new “awareness of what it means to be church” that he and Francis share in common, he speaks not of the Holy Catholic Church that was charged by Christ with the mission of baptizing and teaching the nations; rather, he speaks of a new church altogether, an earthbound institution that calls all men to engage in little more than social work. Pope Francis recently met with the Pope St. John XXIII Community, which was created in the 1960s to address the problem of young people who were alienated from the church. What this group did was to say to them, “We’re not going to bug you about church attendance. But here are the poor. Let’s work for those who are disabled.” This has been a public association of the faithful for almost fifty years. Pope Francis celebrated their work. Naturally, this new “awareness” of church demands a new awareness of priesthood. In a recently penned essay, Cardinal Oscar Rodríguez Maradiaga, the man hand-chosen by Pope Francis to head up his Council of Cardinal Advisors, reflected on his, and most certainly the pope’s, vision of the priesthood. It is not just Christ’s pain and his passion that redeem, it is not just the cross that saves us: his pain, his passion and his cross have redeeming power because of Love. It is then Christ’s crucified Love that gives back meaning to human existence and elevates it to the dignity from which sin deprived it and that Jesus’ decision, dying for love in the cross, recovered. If the world experienced how big God’s love and salvation initiative are, all temples would be filled with people asking for the holy sacraments of Confession, Baptism, Anointing of the Sick and Eucharist. Priests would not be able to handle such a need for absolution, blessing or communion since entire multitudes —convinced of that infinite love of God, origin of salvation—, would understand that truth and life have a name: Jesus. And his name is Love. Yes, the priest in this twisted little scenario is acknowledged as he who absolves, blesses and gives Holy Communion, but the cardinal has his presbyteral priorities exactly backwards. Indeed, the mission, the mercy and the service to the poor and to all brothers as a human and missionary experience must be a place of discovery of God, of greater knowledge of the face of God. The mission that Jesus gave to His Church was, in a manner of speaking, one of carrying God to the people; i.e., to impart the Divine life to fallen man via baptism while exercising the authority to teach in His name everything whatsoever that He commanded (cf Matthew 28:16-20). The popes of tradition understood well that the mission of making and forming Christians is the very mechanism by which humankind is empowered to form a truly just society. In so writing, Pope Leo XIII shed great light on the sacred hierarchy’s role in meeting the temporal needs of the poor; namely, it is in calling all men to virtue and laboring toward their sanctification that the Church (in a unique way via the ministry of her priests), creates the conditions for justice. The version of mission proposed by the Captains of Newchurch is quite the opposite. 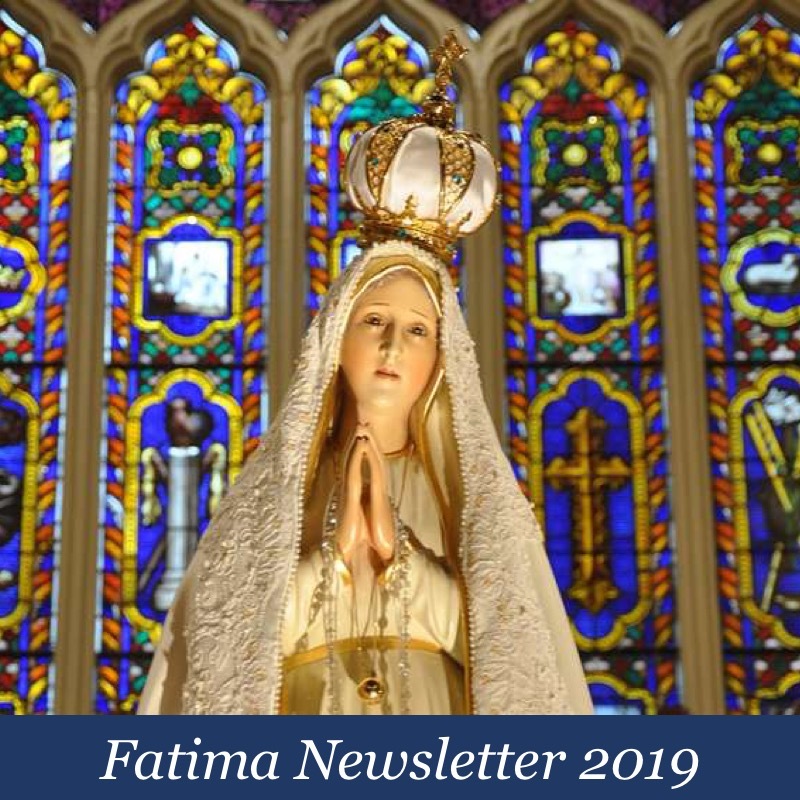 The well-formed Catholic understands that the Church – she to whom the Lord entrusted all that is necessary for salvation – does not so much “gain life” through her evangelizing efforts; rather she gives life to a world darkened by sin and error. Since certainly, the privileged “place” in which Christ’s Mercy becomes incarnate and becomes practice is in the love for the brothers and sisters, and in the preferential love for the poor and the suffering. The temporal reality that summarizes all the incarnations of the mystic, all the realism of the Christian spirit, and that gathers all the demands of the practice of the faith and love, is the brother, is the poor. It doesn’t require a particularly astute observer to recognize the glaring omission in Cardinal Rodríguez’s flimsy treatise on the Lord’s “salvation initiative;” it’s the Resurrection. The hierarchy has no purpose in itself and for itself, but only in reference and subordination to the community. The function of the hierarchy is redefined in reference to Jesus as Suffering Servant, not as “Pantocrator” (lord and emperor of this world); only from the perspective of someone crucified by the powers of this world it is possible to found, and to explain, the authority of the Church. The hierarchy is a mi nistry (diakonia = service) that requires lowering ourselves to the condition of servants. To take that place (the place of weakness and poverty) is her own, her very own responsibility. You see, for the likes of Archbishop Cupich, Cardinal Rodríguez, and the pope they both admire so very much, the priesthood is not configured to Christ the King, risen from the dead and gloriously reigning over the powers of this world; rather, they seem to imagine a priesthood configured exclusively to the humanity of the Nazarene who is destined to be crucified in his priests all over again, even as they toil in service to the temporal needs of the poor. As such, mark my words, if the reign of Pope Francis lasts for just a few more years, that wave of tradition-minded seminarians who answered the call to the priesthood of Jesus Christ during the pontificate of Pope Benedict XVI will soon be outnumbered by men (and a disproportionate number of soft bellied men at that) answering the invitation to little more than a life of glorified social work. First thing tomorrow morning, I’m buying stock in any company that makes burlap or balloons. This is wrong in so many ways! First of all, if the hierarchy ‘has no purpose in itself and for itself’, why are these men even talking? Why are they giving interviews? Where do they live? They should be living lives of quiet subservience as unknowns in the peripheries they praise. All we should know of them is what is said by others regarding their charitable and Godly work. Also, if Maradiaga was practicing what he preaches, he’d have no time for interviews. He’d be too busy administering the sacraments to those drawn to him because of his faithful service to God’s ‘salvation initiative.’ Of course, they would be selecting from the poor those who are disabled. Such inspiring speech. There is a word or two my Irish mother and grandparents would have used for their talk—never mind, I won’t suggest it. These men are pathetic and could very likely not make a living if they were (deservedly) kicked out of the hierarchy they criticize. Not so fast marykpkj. They could be quite successful as “Community Organizers.” Perhaps, one could even become President of the United States! Then take away the Church’s tax deduction. 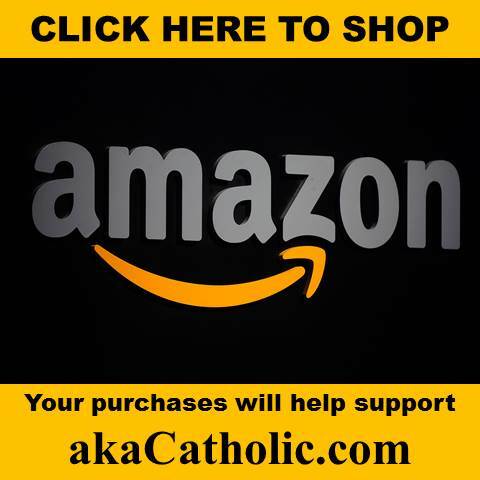 Let these prelates see first hand how the middle class in America, and elsewhere, is severely persecuted by the massive taxes to pay for the welfare state, which in turn sends a lot of our money to Catholic Charities and other anti-Catholic groups. Excellent article, Lou. I was particularly struck by Cardinal Rodriguez Maradiaga’s proposal of a new ‘mysticism of mercy’ with which he wants to supplant authentic traditional Catholic spirituality. These guys aren’t even making an effort to hide their modernism anymore. They’ve finally ‘come out’ – very much like their secular sodomite counterparts – and I fear we will soon see the same kind of ferocious and open attack on orthodox belief in the Church as that being waged against traditional marriage in the secular arena. 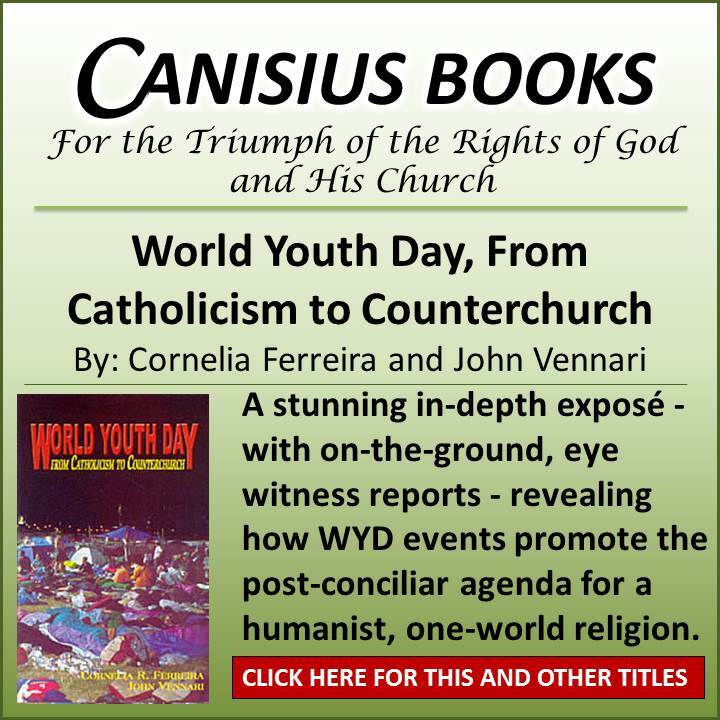 Cupich is a major problem as well, but the Maradiaga talk struck us as the most brazen, open declaration of war on Tradition and Faithful Catholics we have seen so far in print, since first learning of the revolution of Vatican II. “The Maternal Heart of Mercy”. 2. He announces that those who refuse to accept the new “spirituality” are now an “irrelevant” “useless appendix” that “ends up being abandoned”, since it “does not nourish” and “stops having meaning” and is “foreign to the ecclesial model that is being lived”. 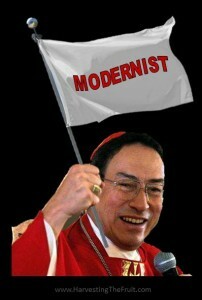 3.fundamentally alter Catholic faith and spirituality so as to better jibe with the ‘Spirit of Vatican II’. And of course, Maradiaga pointed out “THE ONLY ANSWER IS” not 1 or 2, but 3. Is it us, or are they emboldened like never before? I hate to say it, but Cupich and Bergoglio seem to want the Church to be nothing other than a NGO philanthropic society, with no dogmatic requirements, no sins which regard God or sexual morality. If that is so, I hope they have the sincerity and humility to resign their posts and join one, where their platitudes will be welcomed by the faithful. The question is why are Germans no longer attending Catholic churches (i.e. electing to drop out of the Kirchensteuer payer pool). The above was written by a German in one of the mainstream papers. And the way this all ties in, is that if the Church drives away the pew sitters, then it eliminates one of the two main sources of income, i.e. the collection plate take. The other source is the trust funds, which the present hierarchy is burning through at present, will also evaporate. And then the US Catholic Church will need to find a new funding model, kind of like the situation in the German Church at present. But due to the separation of Church and state, I highly doubt if the US Government could directly subsidize an unproductive class of former flower children and their offspring. And that is the reality of the matter. So it’s either a self funding NGO or no NGO. I swear, if I ever hear that phrase “what it means to be church” one more time I am going to vomit. Because the Modernist denies the existence of divine Revelation, his advocacy for “the” poor (which could be any of us at any time) is not based on the truth about man. Given also that some Modernists are conspicuously well-fed, well-travelled and well-connected, claims of self-denial seem poorly substantiated. The main cry of these Modernists seems to be the logical fallacy that “We cannot do X (teach the truth) until we have done Y (helped the poor and the suffering)”. The Catholic Church, on the other hand, has always been able to do both concurrently. 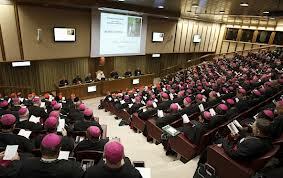 One can only conclude, therefore, that the goal of these Modernists is simply to use this fallacy to deter men from discovering the Catholic Faith. This is the crux of the problem we’ve seen with Francis. He justifies the “get-togethers” as ecumenism, and then proceeds to give all the reasons that any real talking about our differences is counterproductive to God’s will that we just “work together” to eliminated the world’s sufferings. With the implication… the rest will come in due time. Would Satan do it any differently? respect that the question was not directed to me, but if I may offer a response to it – no, Satan would not do it differently. Hey, you’re welcome any time–especially when you agree with us..
How’s the Puerto Rican coffee holding out? Thank you ! Yes, Puerto Rican coffee -a potent elizir to assist one in the current state of—oh, never mind, that’s a whole other conversation !! May the Peace of His Majesty Our Lord Jesus Christ, a Peace not of this world, be to you & all dear brethren here. Christ commands us to do good works, especially with the poor, if we wish to attain heaven (Matthew 25:31-46). With this in mind, my question to Cardinal Oscar Rodríguez Maradiaga would be a simple one: can one do “service to the poor” and still be in a state of mortal sin? To put it another way, it seems that Cardinal Oscar Rodríguez Maradiaga teaches that working with the poor and marginalized, however commendable, is in itself salvation. Not so, it is only a part of it. What’s overshadowed here? That Jesus Christ died to make restitution for our sins: Psalm 68 verse 6 says ‘then did I pay that which I took not away’ meaning Jesus died to make restitution for OUR sins. And He did just that – but we cannot have salvation (not can anyone else) unless we play our part in that restitution – St. Paul says this over and over again. First: stop sinning. Second: pay your debt. To say that Christ’s love gives back meaning to human existence is just more gobbledy-gook. Like nailing jello to a wall – each one who reads or hears the newspeak would have to pull out each sentence, nay, each part of each sentence to see the emptiness of thought expressed. What continues to amaze me is the speed with which bishops and priests have learned, and repeat, NEWSPEAK. Only a few years ago we didn’t have to listen to this talk which is so difficult to understand. To say nothing of the twisting of Our Lord’s words, and laying emphasis on only those words that give credence to heresy. Modernist can truthfully use such words as -Love was crucified-, because God IS Love. And because His love was directed towards his sinful creatures they can also say in truth, that it was love that motivated our redemption. It’s his conclusion that it all to “jello” as you so aptly put it. “Eum, qui non noverat peccatum, pro nobis peccatum fecit”.. (2Cor5:21). That is what love motivated God to do for us. Our sins were up on that cross, being atoned for in the only way that would Re-open the Gates of Heaven to us. THAT is what gave back meaning to our lives, which go on eternally–long past the measly century or so we spend on this earth. This distortion is another part of what he meant when he said the Church changed the Mission..and therefore the social and political options became more important (obviously more important than the preaching and teaching and Baptizing Mandate) Take the remission of sins and the NEED for each person to WILLINGLY ACCEPT the sacrifice of the Cross and Baptism into the Church for their salvation–take these out of the equation, and you have the modernist focus on this world with Man at the center, and all the gobbeldy gook that goes with that replacing Christ as King. Tee,hee,hee that’s what I’m hoping for too!! your comments are interesting and wonderful. However, the word ‘revolution’ always leaves me uneasy. I ask you to address my uneasiness with this question to you: can God be truly loved without loving our neighbour? Or may I pose the same question this way: is it possible for one ‘first’ to truly love God and ‘then’ to love neighbour? Or may I pose the question another way: is not true love of the True God and love of neighbour not two sides of the same coin such that if it were not so we would sever what Christ Crucified has joined together (on the Cross)? We’ll of course defer to Barbara to answer your questions regarding the meaning of her words. But we’d like to add our perspective if we may here, on what we see as the major shift in emphasis imposed by many modernists in the Church over the past 50 years on this issue. Jesus answered the question of which Commandment is the FIRST and greatest, when he said Love God…. etc. Naturally they are closely connected as you point out. But don’t you think He established a level of priority there, so we wouldn’t give in to the temptation to put our expressions of love of neighbor, BEFORE those due to God? This, is what has happened. That, in our view, is the “revolutionary” aspect of it, resulting in the abuses associated with everything from no longer “offending” other “brothers and sisters” in other religions by proselytizing (with that superior Catholic attitude they now wall “Triumphalism” ) to re-locating Tabernacles in Churches to little rooms where they aren’t visible, so now we bow to the altar where during Mass the priest faces us. It also accounts for the misplaced ideas of mercy and love, that have led to teaching tolerance of so much unrepented sin among friends and family, which leads to greater attachments to people than to God in so many cases–corrupting entire societies. –For example, look at all the flack Cardinal Burke took last year, when he said in an interview that a family should NOT invite its self-declared homosexual son and his “partner” to celebrated Christmas with the rest of the family, because of the scandal that makes present to them all, and the fact that we can’t ignore sin that way. Meanwhile the Pope and Kasper and their gang are promoting that very thing–“welcoming” as the interim Synod papers they circulated demonstrate. And the Pope welcomes people to receive Communion while still in a state of mortal sin from ongoing adultery (As he did in Argentina for retreat weekends for concubines) and as he did in the now infamous phone call to the lady in Argentina from “Fr Bergoglio at the Vatican. Jesus said, he who will not turn his back on Father or Mother…for the sake of My Kingdom, is not worthy of it. .So when it comes to making decisions about priorities of God over man–even our families, we have to have some standards –like First love God and THEN neighbor as self. –We’ve seen this kind of thing actually made a choice in our lives–to remain with family members, and voluntarily stay silent-for the sake of unity and peace- about sin and Christ when sin is promoted as good and the Church is ridiculed, or you are not welcome in our lives anymore. We’ve lost family over this issue, so it’s not something we take lightly. We have no regrets, but we also have no illusions about how very real this distinction can become today. Hope this helps you. . God Bless. We could also reference the love a child has for his mother (or father). When the child loves her so much, he wants to do things to please her. When we love God so much (as Jesus commanded us) we want to please Him, and part of the way we have been commanded to act is to love and care for our neighbour – it’s a flow, from one to the other, and the flow cannot be inverted without damage. This brings up another point, wonderfully highlighted by IF. We are COMMANDED to love God. And FIRST. It’s not a suggestion cooked up by the parish council. The horrors that come out of Poor Francis’ mouth (and from his stooges) on this topic are truly diabolical. To suggest that we should leave the altar, and go out into the world to love and care for our neighbour, INSTEAD of bringing God, from the altar (through teaching), to them FIRST so they can obey this COMMANDMENT, is mortally sinful in my book (and yes this is a subjective as well as an objective judgment on my part). We too have serious breaches with our families over truth. We cannot speak to some on any subject other than the most banal and superficial ones, and we are cut off from other very close family members entirely. With Our Lady’s intercession the Truth will reach them. and that happened to be something we were discussing just now, from related perspective of the gift of Free Will..
God won’t force anyone to go to Heaven, or even to accept the necessary terms of becoming His child, and then struggling to grow in virtue while rejecting sin. . This is what gives such grave importance to the mandate to teach and Baptize all nations. The world needs to realize why it’s so important to make that free-will choice to come through the “Gate” into the Church. If we were going out to preach, like the missions once did, it would not be a problem for us. But our going out to embrace people “as they are” to walk with them -knowing what we know, and without teaching them about the importance of that choice for their eternal happiness, criminal negligence, which leaves most on the path to perdition, thinking Catholics are confirming they’re doing fine. One cannot love one’s fellow man (not a feeling) unless one loves God first. That is our first duty, and purpose, as persons created by God (in His image). Yes. All we have to do is read the stories of the missionaries (back when they were ‘real’) They were horrified to see the sad state of those poor natives of the various countries. Their whole life blood was poured out for them – they wanted to save them from their barbarity and bring them into civilization – and TRUTH. Think of Isaac Jogues and his confreres who were tortured over and over, yet could not leave the poor Indians to their terrible pagan lives. Can you imagine them thinking they just had to be loving, and walk with these savages? O it’s sad to see this total loss of real love for others – all the talk of love – a complete sham. To leave those we love in ignorance when it would be so easy to teach the Truth! Poor Pope! Poor Bishops! Poor Priests! Yes. REAL Missionary work, not today’s purely social-work. A kindly Dutch ship’s captain returned Fr. Jogues to France on Christmas Day, 1643. When Fr. Jogues reached the Jesuits, his appearance was so changed that at first he wasn’t recognized; but he soon found that all of France bad been following his ordeal… Even the queen requested his presence. During this age of specific liturgical requirements, the Pope gave Fr. Jogues permission to use his remaining fingers to hold the consecrated host at Mass. Fr. Jogues spoke with love of his former persecutors, telling how his Mohawk aunt had protected him. Since he now knew their language and customs, he felt God had suited him well to,return to the native Americans. In time, Fr. Jogues’ superiors agreed. The Jesuits of Three Rivers were astonished to see Isaac Jogues reappear on a ship from Europe! Fr. Jogues was equally surprised to hear that the Hurons and Iroquois had cautiously begun to trade prisoners rather than kill them. My heart tells me that if I am the one to be sent on this mission I shall go but I shall not return’ But I would be glad if our Lord wished to complete the sacrifice where He began it. Farewell, dear Father. Pray that God unite me to Himself inseparably. After a drought was believed to have been caused by evil spirits in his Mass kit, he was killed in October of 1646, ten years after first arriving in the New World. Bubbles are recommended instead. Can’t you just picture it? Whatever happened to plain old penance and prayer–oh sorry, that Traditional.